Matches in the Second and Third Divisions have fallen foul of the snow already. 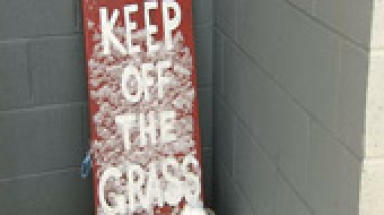 Six games in the Scottish Football League have been postponed, as wintry conditions continue to besiege the country. Second Division games between Brechin City and Queen of the South, and Albion Rovers and Stenhousemuir have been called off. Annan v Peterhead, East Stirlingshire v Clyde and Berwick Rangers v Stirling Albion have all failed to beat the freeze. Elgin City v Queen's Park has also been cancelled ahead of schedule, with further pitch inspections likely to be announced. Dundee United's SPL tie with Ross County on Saturday will go ahead following a "precautionary" pitch inspection at 9am. Postponements aside, there is a full card of SFL matches this weekend, including two Scottish League Cup semi-finals. Three Scottish Premier League games are also scheduled to take place, with Hibernian travelling north to face Aberdeen in the early kick-off on Sunday.